Earlier, Mumbai posted 213/6 in 20 overs against Bangalore in their IPL clash. 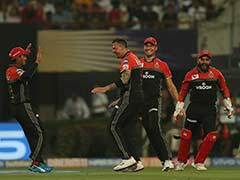 RCB got off to a dream start after Umesh Yadav picked up two wickets in the first two balls of the first over of Mumbai innings. 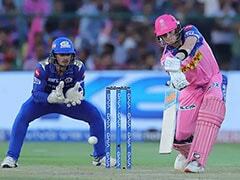 Suryakumar Yadav and Ishan Kishan were clueless in reading Yadav's length and were clean bowled by the pacer. 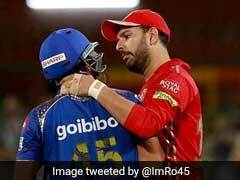 After their dismissal, Mumbai skipper Rohit and Lewis began to rebuid for the hosts. Lewis played a sublime knock of 65 runs which was laced with 5 sixes and 6 fours. He was eventually dismissed by Corey Anderson in the 12th over. Rohit played a brilliant knock of 94 to ensure his team posted a competitive total. Rohit hit 10 fours and 5 sixes to help his team reach a big total. 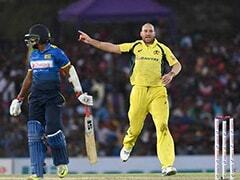 Yadav was brilliant in his first spell where he took two wickets and gave away only 8 runs in his first two overs. 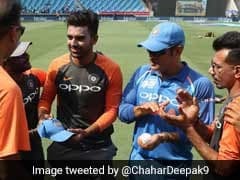 Washington Sundar and Yuzvendra Chahal were all at the receiving end of Lewis' hammerings. Both the bowlers failed to contain the Windies' opener. 23:58 IST: Thank you for staying with us for the live match updates. 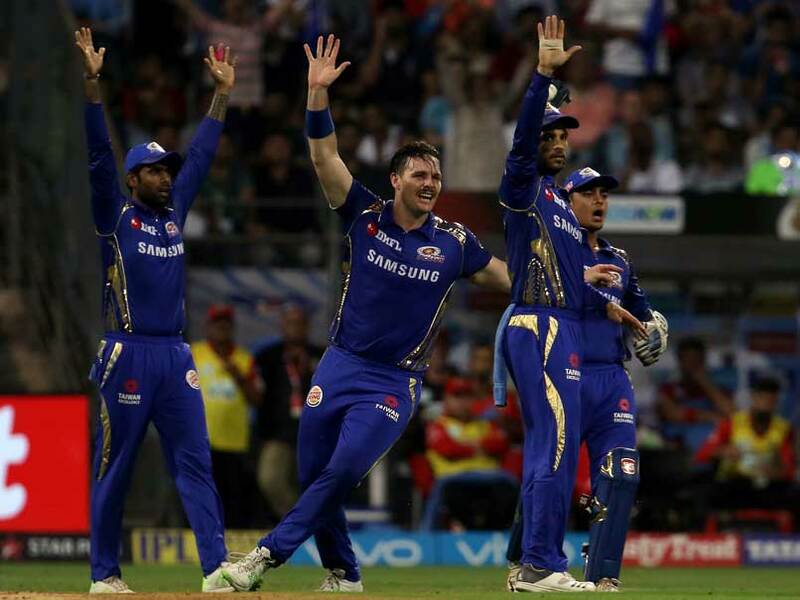 23:49 IST: Mumbai Indians beat Royal Challengers Bangalore by 46 runs. Virat Kohli remains unbeaten on 92 runs off 62 balls. 23:47 IST: SIX! Slower delivery and Kohli hammers it for a six. He is now on 92. 23:43 IST: SIX! Mohammed Siraj slams the length ball towards the crowd. 23:42 IST: FREE HIT! Mustafizur Rahman gives a freebie but Mumbai can afford that as RCB need 68 runs from 10 balls. 23:31 IST: Mitchell McClenaghan bowls to Kohli. 23:25 IST: Virat Kohli is the lone warrior in this run-chase. All his fellow batsmen have disappointed a great deal. 23:17 IST: Run out chance. Sarfaraz Khan survives. Not out. 23:12 IST: Aditya Tare comes in as a reserve wicket keeper. 23:06 IST: Bumrah back into the bowling attack for Mumbai. Virat Kohli is the last hope for RCB. 22:50 IST: Virat Kohli (4559* runs) is the leading run-scorer in the history of IPL. He has surpassed Suresh Raina. Virat Kohli (4559*) now leading run-getter in #IPL history! 22:42 IST: Mayank Markande is the new bowler for Mumbai. 22:23 IST: FOUR! de Kock waited it for a while and plays a simple shot for a four. 22:10 IST: Boundary to end the over for RCB. 22:08 IST: Quinton de Kock/Virat Kohli open for RCB while Jasprit Bumrah bowls the first over for Mumbai. 21:52 IST: FOUR! Last ball for boundary. 21:43 IST: Hardik Pandya is the new man in for Mumbai. 21:41 IST: Woakes starts off with a wide. He tries to take it away from Pollard but ends up bowling an extra. 21:40 IST: Chris Woakes bowls his third over. 21:26 IST: FOUR! Frees his arms and Rohit slams it over the onside boundary. 21:15 IST: Umesh Yadav is back. 21:13 IST: STRATEGIC TIME OUT! 21:01 IST: Krunal Pandya is the new man in for Mumbai. 20:56 IST: SIX! Lewis looks unstoppable. This is 192nd six of the tournament. 78 metres long distance. Back-to-back sixes for him. This man is wreaking havoc on the RCB bowlers now. 20:49 IST: FOUR! Boundaries are flowing for Rohit now. Puts pressure on Corey Anderson. 20:37 IST: Mohammed Siraj bowling well after getting hammered in his first over. 20:24 IST: SIX! That has gone miles. Not a good start by Mohammed Siraj. Lewis is looking in good nick. 20:20 IST: FOUR! Evin waited for that shot and on the back foot for four. Good shot by the Mumbai opener. Both boundaries have been just outside off. Back-to-back fours for him. Poor bowling by Washington. 20:17 IST: Washington Sundar is the new man in for RCB. 20:10 IST: Evin Lewis and Rohit Sharma need to rebuild after early blows. 20:08 IST: FOUR! Mumbai skipper Rohit Sharma opens his boundary account with a beautiful cover drive for a four. 20:08 IST: Chris Woakes is the new bowler for RCB. 20:00 IST: Suryakumar Yadav and Evin Lewis are the two openers for Mumbai. Umesh Yadav opens the bowling for RCB. 19:26 IST: We are moments away from the toss. 19:03 IST: Hello and welcome to the live match updates of the 14th IPL match between Mumbai Indians and Royal Challengers Bangalore from the Wankhede Stadium. 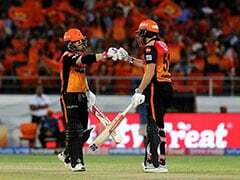 RCB started off on the losing note to Kolkata Knight Riders but brought their campaign on track immediately with a convincing victory over Kings XI Punjab at home and then lost a high-scoring game to Rajasthan Royals at home on Sunday. 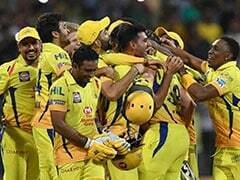 RCB's bowlers, especially Umesh Yadav who had broken the back of KXIP innings with a three-wicket burst in one over, went for plenty against the Royals who set up the highest total so far of the season, 217. 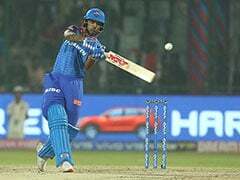 RCB need to set right their bowling woes as MI possess a strong batting line up that threatened to score over 200 in their previous game before the Daredevils bowlers restricted them below that threshold.